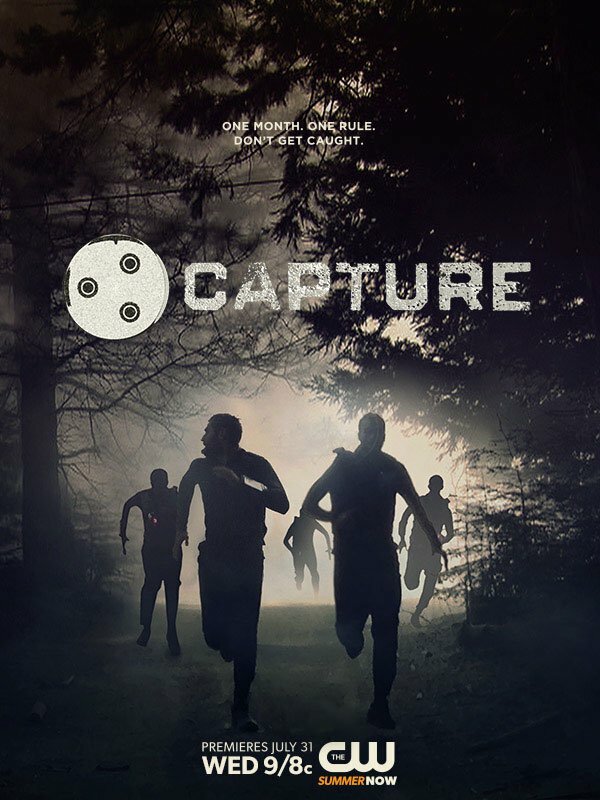 On Wednesday, the CW released the extended trailer for Capture, a brand new game show featuring twelve teams of two contestants who are sent into an enclosure in the middle of the wilds and are asked to “hunt” the other contestants. The teams will be competing for scarce resources with the goal of capturing other teams until only one team is left in the game. The series actually premieres extremely soon, hitting the schedule on July 31. The show looks to have a little bit of a Survivor aspect, and yes, it looks a whole lot like The Hunger Games, but in Capture the winners will walk away with $250,000 instead of just their lives. Honestly, minus the fact that children actually die in The Hunger Games and don't compete in teams, the comparisons are pretty rampant, from the fact that the contestants have been given tight-fitting but athletic gear to the fact that the contestants are competing in a contained space and their progress will be tracked by cameras for CW fans to catch the action in depth. Even the way the contest starts on a platform and leads into the teams running in various directions in the woods is reminiscent of a scene in Suzanne Collins’ novels (as well as the movie). The CW has been trying to hone in on the success of teen franchises similar to The Hunger Games for a while, now . The network has actually poured a lot of time and money into a pilot for The Selection, but after two failed pilots based on the same YA novel, it seems like the network has probably called it quits. Besides, reality TV is much cheaper to put together than dramas set in futuristic versions of the United States. If you are wondering why you may not have heard of Capture before now, it’s because the project went by a different name while in development. The CW actually signed on to produce the intense wilderness competition show back in December of last year, but at the time, the series went by the name The Hunt. Despite the title change, Capture still has the same team behind it, with Ready for Love’a David Garfinkle, Jay Renfroe, and Greg Goldman signed on to executive produce the series. The CW’s also put out a first look poster for the reality competition series, so at least the network is attempting some marketing, however late. If you are into the survival and capture-based premise, you’ll be able to catch the series when it hits the schedule on Wednesday, July 31 at 9 p.m. ET.